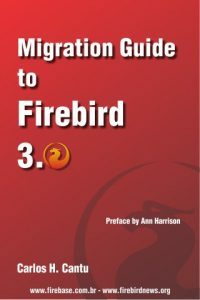 I’m workingto implement support for Firebird (in the firebird branch) in Sqitch – a database change management application. New Plugin for monitoring FirebirdSQL database status in Nagios is released. On the behalf of the developers and contributors team, I’m pleased to announce that DBD::Firebird v1.11 , a DBI driver for the Firebird RDBMS server is released. This release brings many changes and bugfixes . For those who like classic desktop Firebird database applications and wxPerl, the first public release of Tpda3 is out. Here is the list of changes and you can use the cpan download page to get the package. server to run the tests. Here is the thread with the features commited and here is the related bug fixed.